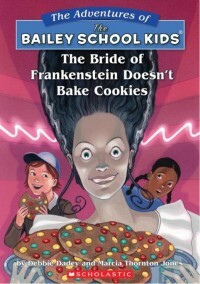 Hey Martin, I'm so glad you like The Bride of Frankenstein Doesn't Bake Cookies. 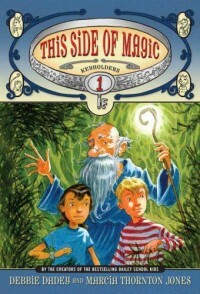 Just thinking about that book makes me hungry! I have never been to South America, so I would totally love to visit your school. Please ask your teacher or librarian to email me to see if we can work it out! Hi guys! I'm back from a trip to visit my mom in Kentucky. A big thunderstorm kept me from coming home yesterday. We flew to Philadelphia, couldn't land, and then flew back to where we'd come from! I ended up spending the night in a hotel and not getting much sleep. I don't know about you, but I'm grouchy when I don't get enough sleep. It was nice visiting my mom, brothers and my older brother's family though. My older brother likes old cars, so I went to a vintage car show with him and his wife, Betty. My brother Frank has an awesome old corvette and his wife has a totally cool old chevy. I think I need an old car too! Hey Kendra, I'd love to visit your library. Tell your librarian to shoot me an email. I'm glad you like Eddie-he's a bit of a character isn't he? Whew! Are you hot? I know it's steamy here in the eastern United States. To everyone who has a pool-you are so lucky! Mexline, I'm so glad you like my books and hope you are having a great summer. Braydon, your ideas were so funny! I particularly liked The Big Bad Wolf Doesn't Go Bowling. Did you know that Marcia Jones and I did write a bowling book? 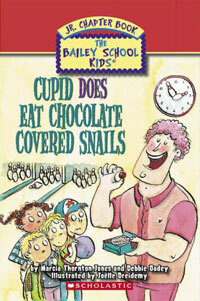 It's called Cupids Does Eat Chocolate Covered Snails. Cassidy, we didn't set off any fireworks this year because it's been so dry where I live. God bless you too! Adri, I'm glad you like Camp Lone Wolf. 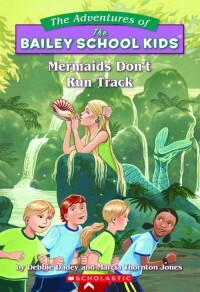 Did you know that Mermaids Don't Run Track takes place there too? I have had a busy week though. 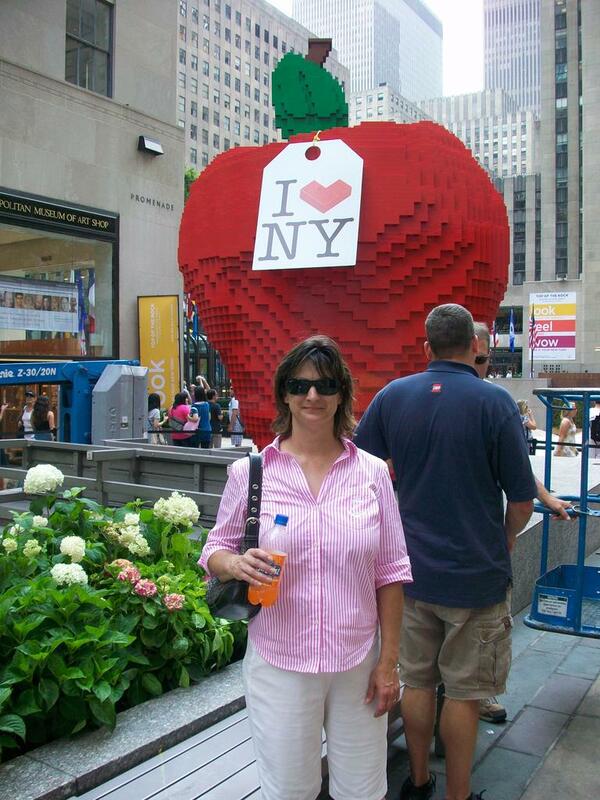 I went to New York City. 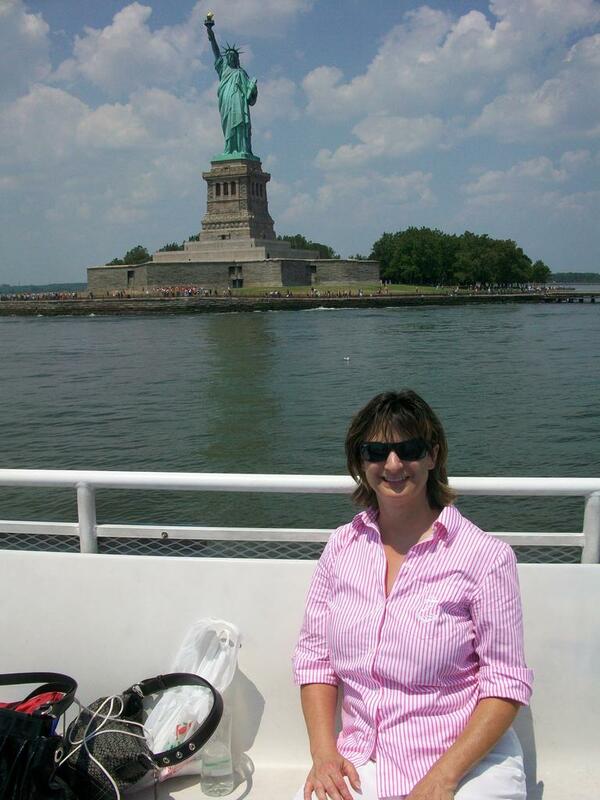 I took my daughter and her friend to see the Statue of Liberty, the 911 sight, Rockerfeller Center, and Times Square. While we were in Times Square they were filming a commercial for a new Madden football video game with Drew Breeze, the Saints quarterback. We got to be in the commercial! It was so hot, we almost melted! Then we ate at a cool place called Ellens's Stardust Dinner where the waiters and waitressess sing. Then we saw the play Wicked, which was so awesome. I love seeing plays on Broadway!! Dekarian, I do like polar bears, but I think Howie and Liza are a bit young to date. Jackson, I'm so glad you like my books. Do you have a favorite? Sarah, thanks for the fun idea. 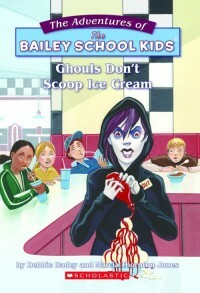 I'm so happy you enjoyed Ghouls Don't Scoop Ice Cream. Super Eddie is my favorite chapter. 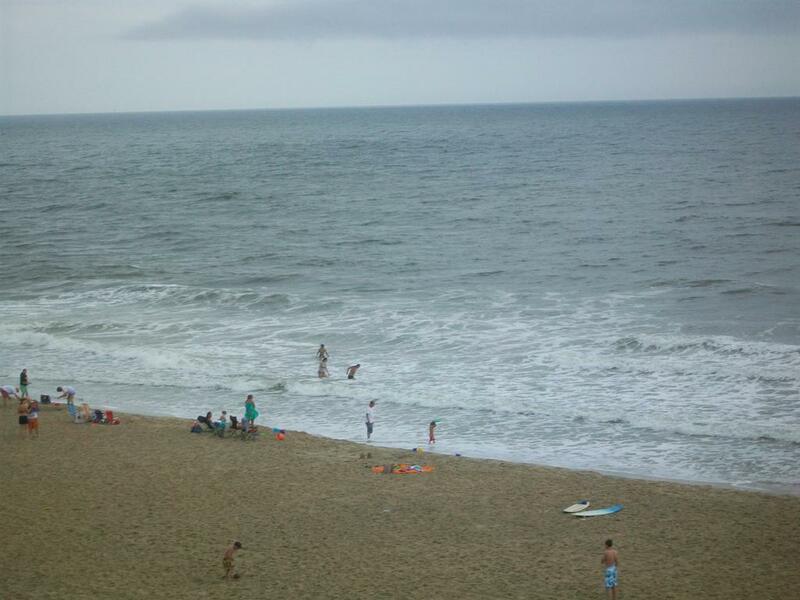 On Thursday of this week, I went to Sea Isle City, New Jersey with my kids and we all managed to get a little bit sunburned. The minute you stepped into the water, you were cooled off. We even had a picnic on the beach, which was on my summer list. Have you made a list of things you want to do this summer yet? I've crossed off three things so far, but I have eight things left to do.